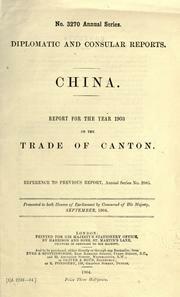 1 edition of China found in the catalog. Add another edition? 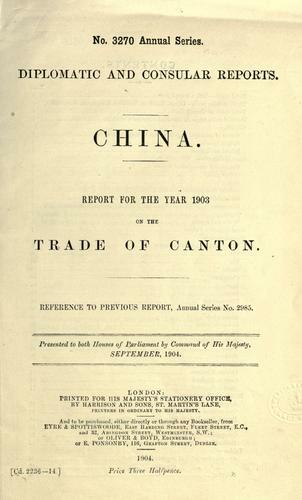 report for the year 1903 on the trade of Canton. Published 1904 by H.M. Stationery Office in London .